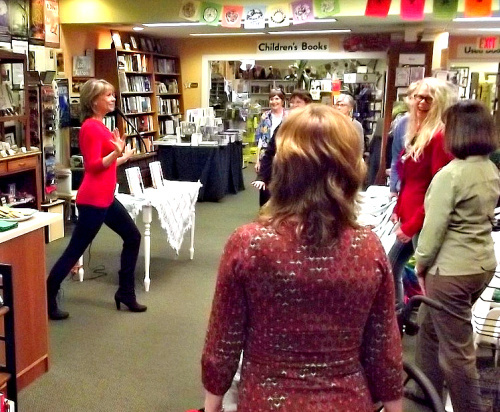 The first official Fit Quickies: 5 Minute Targeted Body Shaping Workouts book signing was celebrated this week at the esteemed and perfectly charming Lyons Books in Chico, California. I couldn’t have asked for a better start to taking the Fit Quickies message out in a bigger way. Everyone was excited to try out some moves, eager to hear more about how adding more plant foods to your menu can make big differences in your health, and how taking a little time for restoring brain power through 3 – 5 minute fitness breaks can catapult healthy success. True to form of the Fit Quickies message, we were up on our feet at least twice during the 40 minute presentation with Fit Quickies #10, “Legs Into Play”, and Fit Quickie #1, “7 Seconds to a Flat Belly”, with Fit Quickie #9, “Higher Assets” on deck. I adore presenting, but even better is afterwards when the pleasure of connecting with each individual and learning a bit about their story and enthusiasm for simple health and fitness solutions. 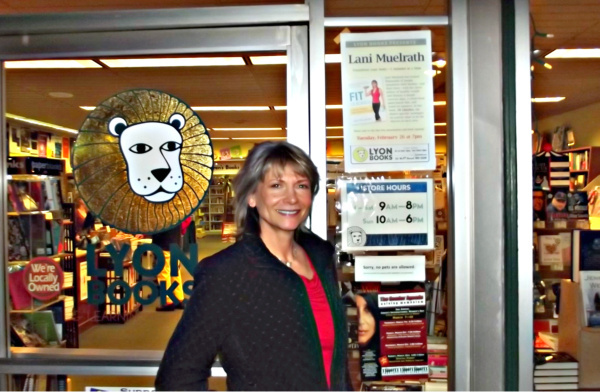 My sincere appreciation to Heather Lyon and the entire team at Lyon Books, who pulled this energetic event off just two days in advance of store relocation. They are moving lock stock and barrel a few blocks down the street, but you’d never know they were in the midst of change from the wonderfully organized hospitatlity they displayed on Fit Quickies night. As Heather said, they wanted to “go out with a bang” and that’s exactly what happened on February 26. 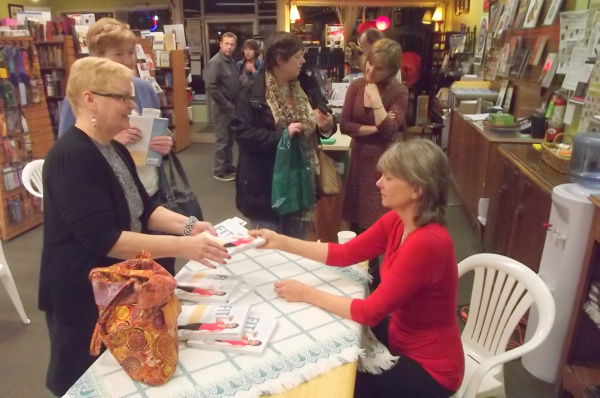 Book signing parties continue to be added to the events schedule here. 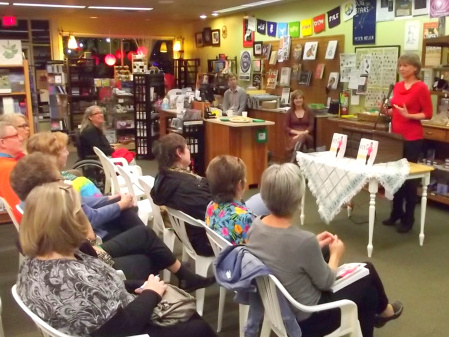 I hope to meet you at one of these events soon – and if you have an idea for a Fit Quickies Book Signing Party event near you, let me know by sending me a message here. Can’t wait to hear from you! Lani, thank you so much for sharing these pictures at what looks like was a fabulous event! It looks like so much fun and I’m so excited for you and the book doing so well. A best seller! Wow! Hope you come to my area, I’ll check your events page. It was SO much fun and I wish you could have been there! I’m keeping my fingers crossed that we’ll meet soon. Hi Anna! No copy yet? I hope she arrives down under soon! Thanks for your lovely and enthusiastic note – it means a lot! Yay! You must let me know the minute it arrives! Remember too, if you’d like, to download your free thank you gift, the Plant-Based Blueprint: http://www.lanimuelrath.com/the-food.